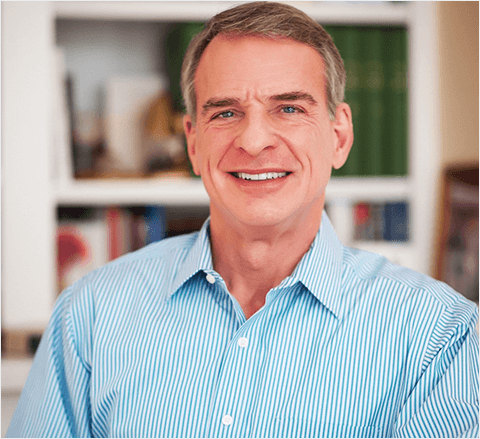 William Lane Craig is Research Professor of Philosophy at Talbot School of Theology and Professor of Philosophy at Houston Baptist University. He and his wife Jan have two grown children. At the age of sixteen as a junior in high school, he first heard the message of the Christian gospel and yielded his life to Christ. Dr. Craig pursued his undergraduate studies at Wheaton College (B.A. 1971) and graduate studies at Trinity Evangelical Divinity School (M.A. 1974; M.A. 1975), the University of Birmingham (England) (Ph.D. 1977), and the University of Munich (Germany) (D.Theol. 1984). From 1980-86 he taught Philosophy of Religion at Trinity, during which time he and Jan started their family. In 1987 they moved to Brussels, Belgium, where Dr. Craig pursued research at the University of Louvain until assuming his position at Talbot in 1994. He has authored or edited over thirty books, including The Kalam Cosmological Argument; Assessing the New Testament Evidence for the Historicity of the Resurrection of Jesus; Divine Foreknowledge and Human Freedom; Theism, Atheism and Big Bang Cosmology; and God, Time and Eternity, as well as over a hundred articles in professional journals of philosophy and theology, including The Journal of Philosophy, New Testament Studies, Journal for the Study of the New Testament, American Philosophical Quarterly, Philosophical Studies, Philosophy, and British Journal for Philosophy of Science. In 2016 Dr. Craig was named by The Best Schools as one of the fifty most influential living philosophers. P- “Evangelicals and Evolution: An Analysis of the Debate Between the Creation Research Society and the American Scientific Affiliation.” Journal of the Evangelical Theological Society 17 (1974): 131-148. “The Cosmological Argument and the Problem of Infinite Temporal Regression.” Archiv für Geschichte der Philosophie 59 (1977): 261-279. “A Further Critique of Reichenbach’s Cosmological Argument.” International Journal for Philosophy of Religion 9 (1978): 53-60. The Kalam Cosmological Argument. London: Macmillan & Co., 1979; New York: Barnes & Noble, 1979, 208 pp. > Selection reprinted in Exploring the Philosophy of Religion, 6th ed., ed. D. Stewart. Upper Saddle River, N. J.: Prentice-Hall, 2006. P- The Existence of God and the Beginning of the Universe. San Bernardino: Here’s Life, 1979, 107 pp. > Samoje Nachalo. Russian translation by A. Tsvetkov. Chicago: Slavic Gospel Association, 1987. > Die Existenz Gottes und der Ursprung des Universums. German translation by Thomas Sandner. R. Brockhaus Taschenbuch 443. Wuppertal: R. Brockhaus Verlag, 1989. > Selection reprinted in Readings in the Philosophy of Religion, 2nd ed. Edited by Kelly Clark. Broadview Press, 2008. “God, Time, and Eternity.” Religious Studies 14 (1979): 497-503. “Whitrow and Popper on the Impossibility of an Infinite Past.” British Journal for the Philosophy of Science 39 (1979): 165-170. “Wallace Matson and the Crude Cosmological Argument.” Australasian Journal of Philosophy 57 (1979): 163-170. “Dilley’s Misunderstandings of the Cosmological Argument.” New Scholasticism 53 (1979): 388-392. “Kant’s First Antinmony and the Beginning of the Universe.” Zeitschrift für philosophische Forschung 33 (1979): 553-567.
Review: Space, Time and Motion: A Philosophical Introduction, by Wesley C. Salmon. Studia Leibnitiana (1979): 154-157.
Review: A Theory of Possibility, by Nicholas Rescher. Studia Leibnitiana (1979): 157-158. The Cosmological Argument from Plato to Leibniz, London: Macmillan & Co., 1980; New York: Barnes & Noble, 1980, 305 pp. P- “Philosophic and Scientific Pointers to Creatio ex Nihilo.” Journal of the American Scientific Affiliation 32 (1980): 5-13. > Reprinted in Contemporary Perspectives on Religious Epistemology, pp. 185-200. Ed. R. D. Geivett and B. Sweetman. Oxford: Oxford University Press, 1993. > Reprinted in God, pp. 58-73. Ed. T. A. Robinson. Readings in Philosophy. Indianapolis: Hackett, 1996. > Reprinted in Philosophy and Faith, pp. 194-204. Ed. D. Shatz. New York: McGraw-Hill, 2002. > Reprinted in God Matters, pp. 82-94. Ed. R. Martin and C. Bernard. New York: Longman, 2003. “Julian Wolfe and Infinite Time.” International Journal for Philosophy of Religion 11 (1980): 133-135. “The Bodily Resurrection of Jesus.” In Gospel Perspectives I, pp. 47-74. Edited by R. T. France and D. Wenham. Sheffield, England: JSOT Press, 1980.
Review: The Cosmological Argument, by William L. Rowe. Studia Leibnitiana (1980): 290-292. P- The Son Rises: Historical Evidence for the Resurrection of Jesus. Chicago: Moody Press, 1981, 156 pp. “The Finitude of the Past.” Aletheia (1981): 235-242. “The Empty Tomb.” In Gospel Perspectives II, pp. 173-200. Edited by R. T. France and D. Wenham. Sheffield, England: JSOT Press, 1981. P- “Response.” In Existentialism, by C. Stephen Evans. Free University Curriculum. Grand Rapids, Mich.: Zondervan, 1983. P- Apologetics: An Introduction. Chicago: Moody Press, 1984, 210 pp. “Augustine on Foreknowledge and Free Will.” Augustinian Studies 15 (1984): 41-63. P- “Introduction.” In The Intellectuals Speak Out About God, pp. 205-222. Edited by R. A. Varghese. Chicago: Regnery Gateway, 1984. “The Guard at the Tomb.” New Testament Studies 30 (1984): 273-281. The Historical Argument for the Resurrection of Jesus during the Deist Controversy. Texts and Studies in Religion 23. Toronto: Edwin Mellen, 1985, 677 pp. “Professor Mackie and the Kalam Cosmological Argument.” Religious Studies 20 (1985): 367-375. “The Historicity of the Empty Tomb of Jesus.” New Testament Studies 31 (1985): 39-67. P- “Contemporary Scholarship and the Historical Evidence for the Resurrection of Jesus Christ.” Truth: A Journal of Modern Thought 1 (1985): 89-95. > Reprinted in pamphlet form by Grad Resources, Dallas, Texas, 1992. > Reprinted in four parts in Emphasis on Faith and Living (Sept./Oct., 1994; Nov./Dec., 1994; Jan./Feb., 1995; Mar./Apr., 1995). “Was Thomas Aquinas a B-theorist of Time?” New Scholasticism 59 (1985): 473-483.
Review article of Miracles and the Critical Mind, by Colin Brown. Journal of the Evangelical Theological Society 27 (1985): 473-483.
Review article of Time, Creation and the Continuum, by Richard Sorabji. International Philosophical Quarterly 25 (1985): 319-326.
Review: The Resurrection of Jesus, by Pinchas Lapide. Journal of the Evangelical Theological Society 28 (1985): 81-84. “God, Creation, and Mr. Davies.” British Journal for the Philosophy of Science 37 (1986): 168-175. “St. Anselm on Divine Foreknowledge and Future Contingency.” Laval théologique et philosophique 42 (1986): 93-104. “The Problem of Miracles: A Historical and Philosophical Perspective.” In Gospel Perspectives VI, pp. 9-40. Edited by David Wenham and Craig Blomberg. Sheffield, England: JSOT Press, 1986. “Temporal Necessity; Hard Facts/Soft Facts.” International Journal for Philosophy of Religion 20 (1986): 65-91. P- The Only Wise God: The Compatibility of Divine Foreknowledge and Human Freedom. Grand Rapids, Mich.: Baker Bookhouse, 1987, 157 pp. “John Duns Scotus on God’s Foreknowledge and Future Contingents.” Franciscan Studies (1987): 98-122. “Divine Foreknowledge and Newcomb’s Paradox.” Philosophia 17 (1987): 331-350. “Process Theology’s Denial of Divine Foreknowledge.” Process Studies 16 (1987): 198-202. P- “Divine Foreknowledge and Future Contingency.” In Process Theology, pp. 95-115. Edited by Ronald H. Nash. Grand Rapids, Mich.: Baker, 1987. P- “Creatio ex nihilo.” In Process Theology, pp. 145-173. Edited by Ronald H. Nash. Grand Rapids, Mich.: Baker, 1987. Feature Book Review of The Anthropic Cosmological Principle by John D. Barrow and Frank J. Tipler. International Philosophical Quarterly 27 (1987): 437-447.
Review: Alvin Plantinga, edited by James E. Tomberlin and Peter van Inwagen. Journal of the Evangelical Theological Society 30 (1987): 348-351.
Review: The Logic of God Incarnate, by Thomas V. Morris. Journal of the Evangelical Theological Society 30 (1987): 493-495. P- Report: “Neues Leben in der christlichen Philosophie Amerikas.” Jahrbuch für evangelikale Theologie, pp. 130-135. Wuppertal: R. Brockhaus Verlag, 1987. The Problem of Divine Foreknowledge and Future Contingents from Aristotle to Suarez. Studies in Intellectual History 7. Leiden: E. J. Brill, 1988, 295 pp. P- Knowing the Truth about the Resurrection. Ann Arbor, Mich.: Servant Books, 1988, 153 pp. “Tachyons, Time Travel, and Divine Omniscience.” The Journal of Philosophy 85 (1988): 135-150. > Reprinted in The Philosopher’s Annual 11 (1988): 47-62. “Barrow and Tipler on the Anthropic Principle vs. Divine Design.” British Journal for the Philosophy of Science 38 (1988): 389-395. “Boethius on Theological Fatalism.” Ephemerides theologicae Lovanienses 64 (1988): 324-347. “William Ockham on Divine Foreknowledge and Future Contingency.” Pacific Philosophical Quarterly 69 (1988): 117-135. “Paul’s Dilemma in II Corinthians 5.1-10: A ‘Catch-22’?” New Testament Studies 34 (1988): 145-147. “Pannenbergs Beweis für die Auferstehung Jesu.” Kerygma und Dogma 34 (1988): 78-104.
Review: Anselmian Explorations, by Thomas V. Morris. Journal of the Evangelical Theological Society 31 (1988): 232-234. Assessing the New Testament Evidence for the Historicity of the Resurrection of Jesus. Studies in the Bible and Early Christianity 16. Toronto: Edwin Mellen, 1989, 442 pp. “‘No Other Name’: A Middle Knowledge Perspective on the Exclusivity of Salvation through Christ.” Faith and Philosophy 6 (1989): 172-188. > Reprinted in The Philosophical Challenge of Religious Diversity, pp. 38-53. Ed. Philip L. Quinn and Kevin Meeker. Oxford: Oxford University Pressa, 2000. > Reprinted in Middle Knowledge: Theory and Applications, pp. 226-243. Ed. W. Hasker, D. Basinger, and E. Dekker. Contributions to Philosophical Theology 4. Frankfurt am Main: Peter Lang, 2000. “Middle Knowledge: a Calvinist-Arminian Rapprochement?” In The Grace of God, the Will of Man, pp. 141-164. Edited by Clark H. Pinnock. Academie Books. Grand Rapids, Mich.: Zondervan, 1989. “‘Nice Soft Facts’: Fischer on Foreknowledge.” Religious Studies 25(1989): 235-246. “On Doubts about the Resurrection.” Modern Theology 6 (1989): 53-75. P- “What a Difference Easter Makes!” New Covenant, (March 1989), pp. 14-17. P- “Raised from Death.” In Jesus 2000, pp. 174-176. Oxford: Lion Publishing, 1989. Divine Foreknowledge and Human Freedom: The Coherence of Theism: Omniscience. Studies in Intellectual History 19. Leiden: E. J. Brill, 1990, 360 pp. The Logic of Rational Theism: Exploratory Essays. Ed. with M. McLeod. Problems in Contemporary Philosophy 24. Lewiston, N.Y.: Edwin Mellen, 1990, 250 pp. P- No Easy Answers. Chicago: Moody Press, 1990, 116 pp. “The Teleological Argument and the Anthropic Principle.” In The Logic of Rational Theism: Exploratory Essays, pp. 127-153. Edited by Wm. L. Craig and M. McLeod. Problems in Contemporary Philosophy 24. Lewiston, N.Y.: Edwin Mellen, 1990. “‘What Place, Then, for a Creator?’: Hawking on God and Creation.” British Journal for the Philosophy of Science 41 (1990): 229-234. > Reprinted in Philosophy of Religion, pp. 479-93. Ed. Xing Taotao and Melville Stewart. Beijing: Peking University Press. “Purtill on Fatalism and Truth.” Faith and Philosophy 7 (1990): 229-234. “Aquinas on God’s Knowledge of Future Contingents.” Thomist 54 (1990): 33-79. “God and Real Time.” Religious Studies 26 (1990): 335-347. P- “In Defense of Rational Theism.” In Does God Exist?, pp. 139-161. By J. P. Moreland and Kai Nielsen. Nashville: Thomas Nelson, 1990.
Review: Philosophy and the Christian Faith, by Thomas V. Morris. Journal of the Evangelical Theological Society 33 (1990): 268-269. “Time and Infinity.” International Philosophical Quarterly 31 (1991): 387-401. “The Kalam Cosmological Argument and the Hypothesis of a Quiescent Universe.” Faith and Philosophy 8 (1991): 104-108. “Theism and Big Bang Cosmology.” Australasian Journal of Philosophy 69 (1991): 492-503. Correspondence: “Pseudo-dilemma?” Nature 345 (1991): 347. P- “The Existence of God and the Beginning of the Universe.” Truth: A Journal of Modern Thought 3 (1991): 85-96. > Reprinted in Faith and Reason, pp. 280-82. Ed. Paul Helm. Oxford Readers. Oxford: Oxford University Press, 1999. “‘Lest Anyone Should Fall’ A Middle Knowledge Perspective on Perseverance and Apostolic Warnings.” International Journal for Philosophy of Religion 29 (1991): 65-74. “Talbott’s Universalism.” Religious Studies 27 (1991): 297-308.
Review: God, Foreknowledge and Freedom, by John Martin Fischer. Religious Studies 27 (1991): 278-280.
Review: The World within the World, by John Barrow, Journal of the Evangelical Theological Society 34 (1991): 274-277. > Reprinted in Science and Religion Forum 21 (1992): 15-18. “The Origin and Creation of the Universe: a Reply to Adolf Grünbaum.” British Journal for the Philosophy of Science 43 (1992): 233-240. “God and the Initial Cosmological Singularity: A Reply to Quentin Smith.” Faith and Philosophy 9 (1992): 237-247. “Hasker on Divine Knowledge.” Philosophical Studies 67 (1992): 57-78. “The Disciples’ Inspection of the Empty Tomb (Luke 24, 12. 24; John 20, 1-10).” In John and the Synoptics, pp. 614-619. Edited by A. Denaux. Bibliotheca Ephemeridum Theologicarum Lovaniensium 101. Louvain: University Press, 1992. Feature Book Review: The Infinite, by A. W. Moore. International Philosophical Quarterly 32 (1992): 253-256. Theism, Atheism, and Big Bang Cosmology. With Q. Smith. Oxford: Clarendon Press, 1993, 337 pp. > Excerpted in Philosophy of Religion, pp. 143-148. Edited by Stephen H. Phillips. Ft. Worth: Harcourt-Brace, 1996. “The Caused Beginning of the Universe: a Response to Quentin Smith.” British Journal for the Philosophy of Science 44 (1993): 623-639. “Graham Oppy on the Kalam Cosmological Argument.” Sophia 32 (1993): 1-11. “Smith on the Finitude of the Past.” International Philosophical Quarterly 33 (1993): 225-231. “Talbott’s Universalism Once More.” Religious Studies 29 (1993): 497-518. “Should Peter Go to the Mission Field?” Faith and Philosophy 10 (1993): 261-265. “From Easter to Valentinus and the Apostles’ Creed Once More: a Critical Examination of James Robinson’s Proposed Resurrection Appearance Trajectories.” Journal for the Study of the New Testament 52 (1993): 19-39. P- Reasonable Faith. Wheaton, Ill.: Crossways, 1994, pp. 350. > Selection reprinted in The Existence of God. Ed. R. Gale and A. R. Pruss. International Research Library of Philosophy. Aldershot, England: Ashgate Publishing, forthcoming. > Selection reprinted in Philosophy of Religion, pp.24-41. Ed. L. Pojman. Belmont, Calif.: Wadsworth, 1998. > A Veracidade da Fé Christa. Portuguese translation by Hans Udo Fuchs. San Paulo, Brazil: Vida Nova, 2004. “The Special Theory of Relativity and Theories of Divine Eternity.” Faith and Philosophy 11 (1994): 19-37. “Professor Grünbaum on Creation.” Erkenntnis 40 (1994): 325-341. “Creation and Big Bang Cosmology.” Philosophia Naturalis 31 (1994): 217-224. “A Response to Grünbaum on Creation and Big Bang Cosmology.” Philosophia Naturalis 31 (1994): 237-249. “Gottesbeweise.” In Evangelisches Lexikon für Theologie und Gemeinde. Band 2. Haan, Germany: R. Brockhaus Verlag, 1994. “Robert Adams’s New Anti-Molinist Argument.” Philosophy and Phenomenological Research 54 (1994): 857-861. > Reprinted in Middle Knowledge: Theory and Applications, pp. 128-131. Ed. W. Hasker, D. Basinger, and E. Dekker. Contributions to Philosophical Theology 4. Frankfurt am Main: Peter Lang, 2000. P- “Did Jesus Rise from the Dead?” In Jesus Under Fire, pp. 147-182. Ed. J. P. Moreland and J. M. Wilkins. Grand Rapids, Mich.: Zondervan, 1995. “Middle Knowledge and Christian Exclusivism.” Sophia 32 (1995): 120-139. P- “Politically Incorrect Salvation.” In Christian Apologetics in the Post-Modern World, pp. 75-97. Ed. T. P. Phillips and D. Ockholm. Downer’s Grove, Ill.: Inter-Varsity, 1995.
Review: A Model of the Universe, by Storrs McCall. International Philosophical Quarterly 35 (1995): 354-356.
Review: Time and Eternity, by Brian Leftow. Journal of the Evangelical Theological Society 35 (1995): 617-619. “Tense and the New B-Theory of Language.” Philosophy 71 (1996): 5-26. “The New B-Theory’s Tu Quoque Argument.” Synthese 107 (1996): 249-269. P- “Cosmos and Creator.” Origins and Design 17 (Spring, 1996): 18-28. “Timelessness and Creation.” Australasian Journal of Philosophy 74 (1996): 646-656. “A Critique of Grudem’s Formulation and Defense of the Doctrine of Eternity.” Philosophia Christi 19 (1996): 33-38. “Theism and Physical Cosmology.” In A Companion to Philosophy of Religion, pp. 419-425. Ed. P. Quinn and C. Taliaferro. Blackwell Companions to Philosophy 8. Oxford: Basil Blackwell, 1997. P- “Does God Exist?” With Michael Tooley. Pamphlet published by Grad Resources. Dallas: 1997. “Hartle-Hawking Cosmology and Atheism.” Analysis 57 (1997): 291-295. “In Defense of the Kalam Cosmological Argument.” Faith and Philosophy 14 (1997): 236-247. “Is Presentness a Property?” American Philosophical Quarterly 34 (1997): 27-40. “Adams on Actualism and Presentism.” Philosophia 25 (1997): 401-405. “Divine Timelessness and Necessary Existence.” International Philosophical Quarterly 37 (1997): 217-224. “On the Argument for Divine Timelessness from the Incompleteness of Temporal Life.” Heythrop Journal 38 (1997): 165-171. “John Dominic Crossan on the Resurrection of Jesus.” In The Resurrection, pp. 249-271. Ed. S. Davis, D. Kendall, and G. O’Collins. Oxford: Oxford University Press, 1997. P- “The Empty Tomb of Jesus.” In In Defense of Miracles, pp. 247-261. Ed. D. Geivett and G. Habermas. Downer’s Grove, Ill.: Inter-Varsity, 1997. P- “The Indispensability of Theological Meta-ethical Foundations for Morality.” Foundations 5 (1997): 9-12.
Review: The Christ of History and the Jesus of Faith, by C. Stephen Evans. Philosophia Christi 20 (1997): 83-89. > Abridged inChristian Scholar’s Review 27 (1998): 520-522. P- Will the Real Jesus Please Stand Up? With John Dominic Crossan. Ed. Paul Copan with responses by Robert Miller, Craig Blomberg, Marcus Borg, and Ben Witherington III. Grand Rapids, Mich.: Baker Bookhouse, 1998, 186 pp. “Theism and the Origin of the Universe.” Erkenntnis 48 (1998): 47-57. “L’idée d’un créateur personnel et l’origine de l’univers.” In Le vide: univers du tout et du rien, pp. 423-443. Ed. Edgard Gunzig and Simon Diner. Brussels: Revue de l’Université de Bruxelles, 1998. “The Tensed vs. Tenseless Theory of Time: A Watershed for the Conception of Divine Eternity.” In Questions of Time and Tense, pp. 221-250. Ed. R. LePoidevin. Oxford: Oxford University Press, 1998. “Divine Timelessness and Personhood.” International Journal for Philosophy of Religion. 43 (1998): 109-124. “On the Alleged Metaphysical Superiority of Timelessness.” Sophia.37 (1998): 1-9. > Reprinted in The Importance of Time, pp. 181-6. Ed. L. Nathan Oaklander. Philosophical Studies. Dordrecht, The Netherlands: Kluwer Academic Publishers, 2001. “Hugh Ross’s Extra-Dimensional Deity.” Philosophia Christi 21 (1998): 17-32. “McTaggart’s Paradox and the Problem of Temporary Intrinsics.” Analysis 58 (1998): 122-127. “Design and the Cosmological Argument.” In Mere Creation, pp. 332-359. Edited by William A. Dembski. Downer’s Grove, Ill: Inter-Varsity Press, 1998. “God on Trial.” With Keith M. Parsons. The Dallas Morning News (June 13, 1998), pp. 1G, 3G. > Reprinted electronically in the SIRS, Inc. database. “Creation and Conservation Once More.” Religious Studies 34 (1998): 177-188. “Creation, Providence, and Miracle.” In Philosophy of Religion, pp. 136-162. Edited by Brian Davies. Washington, D.C.: Georgetown University Press, 1998. “On Hasker’s Defense of Anti-Molinism.” Faith and Philosophy 15 (1998): 236-240. P- “Rediscovering the Historical Jesus: The Presuppositions and Presumptions of the Jesus Seminar.” Faith and Mission 15 (1998): 3-15. P- “Rediscovering the Historical Jesus: The Evidence for Jesus.” Faith and Mission 15 (1998): 16-26. P- “The Evidence of the Missing Body.” In The Case for Christ, pp. 205-224.. Ed. Lee Strobel. Grand Rapids, Mich.: Zondervan , 1998.
Review: Atheism and Theism, by J.J.C. Smart and J.J.Haldane. Ratio 11 (1998): 200-205. P- God, Are You There? Atlanta: RZIM, 1999, 55 pp. “The Ultimate Question of Origins: God and the Beginning of the Universe.” Astrophysics and Space Science 269-270 (1999): 723-740. “A Swift and Simple Refutation of the Kalam Cosmological Argument?” Religious Studies 35 (1999): 57-72. “Hugh Ross’s Extra-Dimensional Deity: A Review Article.” Journal of the Evangelical Theological Society 42 (1999): 293-304. “Tensed Time and Our Differential Experience of the Past and Future.” Southern Journal of Philosophy 37 (1999): 515-537. “Temporal Becoming and the Direction of Time.” Philosophy & Theology 11 (1999): 349-366. “The Presentness of Experience.” In Time, Creation, and World Order, pp. 107-120. Ed. Mogens Wegener. Acta Jutlandica 54: 1: Humanities Series 72. Aarhus, Denmark: Aarhus University Press, 1999. “The Eternal Present and Stump-Kretzmann Eternity.” American Catholic Philosophical Quarterly 73 (1999): 521-536. “‘Men Moved By The Holy Spirit Spoke From God’ (2 Peter 1.21): A Middle Knowledge Perspective on Biblical Inspiration.” Philosophia Christi NS 1 (1999): 45-82. P- “Resurrection Evidence.” Moody (March/April 1999), pp. 33-39. P- Review: The Design Inference: Eliminating Chance through Small Probabilities, by William A. Dembski. Human Events (July 23, 1999), p. 16.
Review: God and Contemporary Science, by Philip Clayton. Religious Studies 35 (1999): 493-498. P- Review: Reason for the Hope Within, ed. Michael J. Murray. Philosophia Christi NS 1 (1999): 129-133. Naturalism: a Critical Appraisal. Ed. with J. P. Moreland. Routledge Studies in Twentieth-Century Philosophy. London: Routledge, 2000, 286 pp. The Tensed Theory of Time: A Critical Examination. Synthese Library 293. Dordrecht: Kluwer Academic Publishers, 2000, 287 pp. The Tenseless Theory of Time: A Critical Examination. Synthese Library 294. Dordrecht: Kluwer Academic Publishers, 2000, 256 pp. P- The Resurrection: Fact or Figment? With Gerd Lüdemann. Ed. Paul Copan with responses by Stephen T. Davis, Michael Goulder, Robert H. Gundry, and Roy Hoover. Downer’s Grove, Ill.: Inter-Varsity Press, 2000. P- Five Views on Apologetics. With Kelly Clark, Paul Feinberg, John Frame, and Gary Habermas. Ed. Steven B. Cowan. Grand Rapids, Mich.: Zondervan, 2000, 398 pp. “Naturalism and Cosmology.” In Naturalism: a Critical Appraisal, pp. 215-252. Ed. Wm. L. Craig and J. P. Moreland. Routledge Studies in Twentieth-Century Philosophy. London: Routledge, 2000. > (Abbreviated version) In Metaphysics and the Postmetaphysical Age, pp. 163-78. Ed. Ulrich Meixner. Proceedings of the 22nd International Wittgenstein Symposium. Vienna: Öbv & Hpt, 2001. > (Revised version) In Analytic Philosophy without Naturalism, ed. A. Corradini, S. Galvan, and E. J. Lowe, Routledge Studies in Contemporary Philosophy (New York: Routledge, 2006), pp. 97-133. > “Naturalismo y cosmología,” in Dios y las cosmologías modernas, pp. 49-99. Ed. Francisco José Gil. Madrid: Biblioteca de Autores Cristianos, 2005. “The Anthropic Principle.” In The History of Science and Religion in the Western Tradition: an Encyclopedia, pp. 366-368. Ed. G. B. Ferngren, E. J. Larson, and D. W. Amundsen. New York and London: Garland Publishing, 2000. “Cosmology.” In The Oxford Companion to Christian Thought, pp. 136-139. Ed. Adrian Hastings, et al. Oxford: Oxford University Press, 2000. “Eternity.” In The Oxford Companion to Christian Thought, pp. 210-212. Ed. Adrian Hastings, et al. Oxford: Oxford University Press, 2000. “On Truth Conditions of Tensed Sentence Types.” Synthese 120 (2000): 265-270. “The Extent of the Present.” International Studies in the Philosophy of Science 14 (2000): 165-185. “Why Is It Now?” Ratio 18 (2000): 115-122. “Timelessness, Creation, and God’s Real Relation to the World.” Laval théologique et philosphique 56 (2000): 93-112. “Timelessness and Omnitemporality.” Philosophia Christi 2 (2000): 29-33. “Omniscience, Tensed Facts, and Divine Eternity.” Faith and Philosophy 17 (2000): 225-241. “ Relativity and the ‘Elimination’ of Absolute Time.” In Recent Advances in Relativity Theory. 2 Vols. Vol.1: Formal Interpretations, pp. 47-66. Ed. M. C. Duffy and Mogens Wegener. Palm Harbor, Flor. : Hadronic Press, 2000. P- “Objection 2: Since Miracles Contradict Science They Cannot Be True.” In The Case for Faith, pp. 37-86. Ed. L. Strobel. Grand Rapids, Mich.: Zondervan, 2000. God, Time and Eternity. Dordrecht: Kluwer Academic Publishers, 2001, 321 pp. Time and the Metaphysics of Relativity. Philosophical Studies Series 84. Dordrecht: Kluwer Academic Publishers, 2001, 279 pp. P- Time and Eternity: Exploring God’s Relationship to Time. Wheaton, Ill.: Crossway, 2001, 272 pp. > Excerpt in God Matters, p. 28. Ed. R. Martin and C. Bernard. New York: Longman, 2003. P- God and Time. With Paul Helm, Alan Padgett, and Nicholas Wolterstorff. Ed. Gregory Ganssle. Downer’s Grove, Ill.: Inter-Varsity Press, 2001, 247 pp. P- Divine Foreknowledge: Four Views. With Gregory Boyd, Paul Helm, and David Hunt. Ed. James Beilby and Paul Eddy. Downer’s Grove, Ill.: Inter-Varsity Press, 2001, 221 pp. “Prof. Grünbaum on the ‘Normalcy of Nothingness’ in the Leibnizian and Kalam Cosmological Arguments.” British Journal for the Philosophy of Science 52 (2001): 1-16. “McTaggart’s Paradox and Temporal Solipsism.” Australasian Journal of Philosophy 79 (2001): 32-44. “God and the Beginning of Time.” International Philosophical Quarterly 41 (2001): 17-31. “Wishing It Were Now Some Other Time.” Philosophy and Phenomenological Research 62 (2001): 159-166. “Tense and Temporal Relations.” American Philosophuial Quarterly 38 (2001): 85-97. “Kvanvig No A-Theorist.” Faith and Philosophy 18 (2001): 377-80. “Middle Knowledge, Truth-Makers, and the Grounding Objection.” Faith and Philosophy 18 (2001): 337-52. “Inspiration and The Free Will Defense Revisited,” Evangelical Quarterly 73 (2001): 327-39. P- “Why I Believe God Exists.” In Why I Am a Christian, pp. 62-80. Edited by N. L. Geisler and P. K. Hoffman. Grand Rapids, Mich.: Baker Books, 2001. P- “The Defense Rests.” Australian Presbyterian (April 2001), pp. 8-11. P- “The Universe--More than Just Coincidence?” Decision (June 2001), pp. 13-15. P- “Who Was Jesus?” With Peter Zaas. In Who Was Jesus? : A Jewish-Christian Dialogue, 15-42. Edited by Craig Evans and Paul Copan. Louisville, Kent. : Westminster-John Knox Press, 2002. “Reply to Evan Fales: On the Empty Tomb of Jesus.” Philosophia Christi 3 (2001): 67-76. Ed., Philosophy of Religion: a Reader and Guide. Edinburgh: Edinburgh University Press, 2002; New Brunswick, N. J.: Rutgers University Press, 2002, 634 pp. > Excerpt “The Kalam Cosmological Argument” revised and reprinted in The Philosophy of Religion Reader. Ed. C. Meister. London: Routledge, 2007. P- What Does God Know? Atlanta: RZIM, 2002, 62pp. “Divine Eternity and the Special Theory of Relativity.” In God and Time, pp. 129-52. Ed. Gregory E.Ganssle and David M. Woodruff. Oxford: Oxford University Press, 2002. “Relativity and the Elimination of Absolute Time.” In Time, Reality, and Transcendence in Rational Perspective, pp. 91-127. Ed. Peter Ohrstrom. Copenhagen: Aalborg University Press, 2002. “On the Mind-Dependence of Temporal Becoming.” In Time, Reality, and Transcendence in Rational Perspective, pp. 129-45. Ed. Peter Ohrstrom. Copenhagen: Aalborg University Press, 2002. “Is Being a Theist More Rational than Being an Atheist?—A Debate.” With Lennart Norreklit. In Time, Reality, and Transcendence in Rational Perspective, pp. 227-51. Ed. Peter Ohrstrom. Copenhagen: Aalborg University Press, 2002. “Must the Beginning of the Universe Have a Personal Cause? : A Rejoinder.” Faith and Philosophy 19 (2002): 94-105. P- “What Does God Know?” In God under Fire, pp. 137-56. Ed. Douglas S. Huffman and Eric L. Johnson. Grand Rapids, Mich.: Zondervan, 2002. P- “Creatio Ex Nihilo: A Critique of the Mormon Doctrine Of Creation.” In The New Mormon Challenge: Responding to the Latest Defenses of a Fast-Growing Movement, pp. 95-152. Ed. F. Beckwith, C. Mosser, and P. Owen. Grand Rapids, Mich.: Zondervan, 2002. P- Philosophical Foundations of a Christian Worldview. With J. P. Moreland. Downer’s Grove, Ill.: Inter-Varsity Press, 2003, 654pp. P- >Filosofia e Cosmolovisão Cristã. Portuguese translation by E. Justino, et al. São Paulo, Brazil: Sociedade Religiosa Ediçiões Vida Nova, 2005. God? : A Debate between a Christian and an Atheist. With Walter Sinnott-Armstrong. New York: Oxford University Press, 2003, 156 pp. Does God Exist? With Antony Flew. Responses by K. Yandell, P. Moser, D. Geivett, M. Martin, D. Yandell, W. Rowe, K. Parsons, and Wm. Wainwright. Ed. Stan Wallace. Aldershot: Ashgate, 2003, 231pp. Hard Questions, Real Answers. Wheaton, Ill.: Crossway, 2003, 172 pp. >Preguntas Diffíciles, Respuestas Reales. Spanish translation by Marisoly Álvarez-Scarpitta. Miami, Flor. : Editorial Patmos, 2005, 135 pp. > Inga Enkla Frågor. Swedish translation by Mats Wall. Stockholm: Credo Academy, 2009, 188 pp. “The Cosmological Argument.” In The Rationality of Theism, pp. 112-31. Ed. Paul Copan and Paul K. Moser. London: Routledge, 2003. “Design and the Anthropic Fine-Tuning of the Universe.” In God and Design: The Teleological Argument and Modern Science, pp. 178-99. Ed. Neil Manson. London: Routledge, 2003. “In Defense of Presentism.” In Time, Tense, and Reference, pp. 390-408. Edited by Aleksander Jokic and Quentin Smith. Cambridge, Mass. : MIT Press, 2003. “Response to David Myers.” Religious Studies 39 (2003): 421-426. P- “Tough Questions about Science.” In Who Made God?, pp. 49-71. Ed. Ravi Zacharias and Norman Geisler. Grand Rapids, Mich.: Zondervan, 2003.
Review: World without Design: The Ontological Consequences of Naturalism, by Michael C. Rea. Philosophia Christi 5 (2003): 647-651. Creation out of Nothing: A Biblical, Philosophical, and Scientific Exploration. With Paul Copan. Grand Rapids, Mich.: Baker Bookhouse, 2004, 280 pp. P- Ed., with F. Beckwith and J. P. Moreland. To Everyone an Answer. Downer’s Grove, Ill.: Inter-Varsity Press, 2004, 396 pp. > Ensaios apologéticos: um estudo para uma cosmovisão cristã. Portuguese translation by José Fernando Cristófalo. São Paulo: Hagnos, 2006. > ¿Cómo se sabe que el Cristianismo es verdadero? Spanish translation by Alejandro Roop. Barcelona: Básicos Andamio, 2008. P- “The Ontological Argument.” In To Everyone an Answer. Ed. F. Beckwith, Wm. L. Craig, and J. P. Moreland, pp. 124-57. Downer’s Grove, Ill.: Inter-Varsity Press, 2004. P- “The Evidence of Cosmology: Beginning with a Bang.” In The Case for a Creator, pp. 93-123. Ed. L. Strobel. Grand Rapids, Mich.: Zondervan, 2004. “Wierenga No A-Theorist Either.” Faith and Philosophy 21 (2004): 105-9. “Does the Balance between Saved and Lost Depend on Our Obedience to Christ’s Great Commission?” Philosophia Christi 6 (2004): 79-86. “Should Peter Get a New Philosophical Advisor?” Philosophia Christi 6 (2004): 273-8. “Was Jesus Buried in Shame? Reflections on B. McCane’s Proposal.” Expository Times 115 (2004): 404-9. P- “Jesus and the Qu’ran.” Romanian Missionary Candidate Bulletin 5/2 (March/April 2004), pp. 15-23.
Review: Has Science Found God?, by Victor J. Stenger. Journal of Church and State (2004): 157-8. “Does the Problem of Material Constitution Illuminate the Doctrine of the Trinity?” Faith and Philosophy 22 (2005): 77-86. P- “Grasping Eternity: Notions of God and Time.” In Spiritual Information, pp. 534-8. Ed. Charles Harper. Philadelphia: Templeton Foundation Press, 2005. P- “God, Time, and Eternity.” In What God Knows: Time and the Question of Divine Knowledge, pp. 75-93. Ed. H. L. Poe and J. S. Matson. Waco, Tex. : Baylor University Press, 2005. “Is ‘Craig’s Contentious Suggestion’ Really So Implausible?” Faith and Philosophy 22 (2005): 358-61. “Wright vs. Crossan on the Resurrection of Jesus.” In The Resurrection: The Crossan-Wright Dialogue. Ed. Robert B. Stewart. Minneapolis and London: Augsburg Fortress and SPCK, 2005. P- “Redescobrindo o Jesus Historico.” Manual do Obreio (Brazil) 27/30 (May-June, 2005), pp. 14-22.
Review: Christian Origins and the Question of God, vol. 3: The Resurrection of the Son of God, by N. T. Wright. Faith and Philosophy 22 (2005): 239-45. “J. Howard Sobel on the Kalam Cosmological Argument.” Canadian Journal of Philosophy 36 (2006): 565-84. P- “Cosmological Argument.” In New Dictionary of Christian Apologetics, pp. 179-82. Ed. C. Campbell-Jack and G. McGrath. Leicester, England: Inter-Varsity Press, 2006. “Ducking Friendly Fire: Davison on the Grounding Objection.” Philosophia Christi 8 (2006): 161-6. “Pantheists in Spite of Themselves? God, Infinity, and Three Contemporary Theologians.” In For Faith and Clarity, pp. 135-56. Ed. J. Beilby. Grand Rapids, Mich.: Baker Academic, 2006. “Flint’s Radical Molinist Christology Not Radical Enough.” Faith and Philosophy 23 (2006): 55-64. “Trinity Monotheism Once More: A Response to Daniel Howard-Snyder.” Philosophia Christi 8 (2006): 101-13. P- “Pluralism, Religious.” In New Dictionary of Christian Apologetics, pp. 548-51. Ed. C. Campbell-Jack and G. McGrath. Leicester, England: Inter-Varsity Press, 2006. “Sobel’s Acid Bath for Theism.” Review Article: Logic and Theism: Arguments for and against Beliefs in God, by Jordan Howard Sobel. Philosophia Christi 8 (2006): 481-90. Ed. with Quentin Smith. Einstein, Relativity, and Absolute Simultaneity. Routledge Studies in Contemporary Philosophy. London: Routledge, 2007, 302 pp. P- Ed. with Paul Gould. The Two Tasks of the Christian Scholar: Redeeming the Soul, Redeeming the Mind. Wheaton, Ill.: Crossway, 2007, 200 pp. P- Ed. with Paul Copan. Passionate Conviction. Nashville, Tenn.: Broadman and Holman, 2007, 280 pp. “Theistic Critiques of Atheism.” In The Cambridge Companion to Atheism, pp. 69-85. Ed. M. Martin. Cambridge Companions to Philosophy. Cambridge University Press, 2007. “The Metaphysics of Special Relativity: Three Views.” In Einstein, Relativity, and Absolute Simultaneity, pp. 11-49. Ed. Wm. L. Craig and Quentin Smith. Routledge Studies in Contemporary Philosophy. London: Routledge, 2007. “Creation and Divine Action.” In The Routledge Companion to Philosophy of Religion, pp. 318-28. Ed. Chad Meister and Paul Copan. London: Routledge, 2007. “Naturalism and Intelligent Design.” In Intelligent Design, pp. 58-71. Ed. R. Stewart. Minneapolis: Fortress Press, 2007. “The Indispensability of Theological Meta-Ethical Foundations for Morality.” In Ethics, Society, and Religion . Ed. K. Clark, Z. Qingxiong, and X. Yie. Christian Academics 5. Shanghai: Guji Press, 2007. P- “Concluding Thoughts on the Two Tasks of the Christian Scholar.” In The Two Tasks of the Christian Scholar: Redeeming the Soul, Redeeming the Mind, pp. 170-90. Ed. Wm. L. Craig and Paul Gould. Wheaton, Ill.: Crossway, 2007. P- “In Intellectual Neutral.” In Passionate Conviction, pp. 2-16. Ed. Wm. L. Craig and P. Copan. Nashville, Tenn.: Broadman and Holman, 2007. P- “Did Jesus Really Rise from the Dead?”; “How Can the Bible Affirm both Divine Sovereignty and Human Freedom?”; “What about Those Who Have Never Heard about Christ?” In The Apologetics Study Bible. Ed. Ted Cabal. Nashville, Tenn.: Broadman and Holman, 2007.
Review: Rethinking the Ontological Argument: A Neoclassical Theistic Response, by Daniel A. Dombrowski. Philosophia Christi 9 (2007): 229-31. P- Reasonable Faith. 3rd ed. rev. Wheaton, Ill.: Crossway, 2008, 415pp. Is Goodness without God Good Enough? : A Debate on Faith, Secularism, and Ethics. With Paul Kurtz. Ed. Nathan King and Robert Garcia. With responses by Louise Antony, Walter Sinnott-Armstrong, John Hare, Donald Hubin, Stephen Layman, Mark Murphy, and Richard Swinburne. Lanham, Md. : Rowman & Littlefield, 2008. “In Defense of Theistic Arguments.” In The Future of Atheism: Alister McGrath and Daniel Dennett in Dialogue, pp. 67-96. Ed. Robert Stewart. Minneapolis: Fortress Press, 2008. “The Cosmological Argument.” In Philosophy of Religion: Classic and Contemporary Issues, pp. 83-97. Ed. Paul Copan and Chad Meister. Cambridge: Blackwell, 2008. “Time, Eternity, and Eschatology.” In The Oxford Handbook on Eschatology, pp. 596-613. Ed. J. Walls. Oxford: Oxford University Press, 2008. “Time.” Global Dictionary of Theology, pp. 899-901. Ed. William Dyrness and Veli-Matti Kärkkäinen. Downers Grove, Ill.: InterVarsity Press, 2008. “Is Uncertainty a Sound Foundation for Religious Tolerance?” In Religious Tolerance through Humility, pp. 13-27. Ed. James Kraft and David Basinger. Aldershot, England: Ashgate, 2008. P- “God Is Not Dead Yet.” Christianity Today. July, 2008, pp. 22-27. P- “Middle Knowledge” and “The End of the World,” in A Faith and Culture Devotional: Daily Readings in Art, Science, and Life. Ed. K. Monroe Kullberg and L. Arrington. Grand Rapids, Mich.: Zondervan, 2008. “Dale Allison on Jesus’ Empty Tomb, his Postmortem Appearances, and the Origin of the Disciples’ Belief in his Resurrection.” Philosophia Christi 10 (2008): 293-301.
Review article: Philosophical Perspectives on Infinity, by Graham Oppy. Philosophia Christi 10 (2008): 201-08.
Review: Einführung in die Religionsphilosophie, by Winfried Löffler. Philosophia Christi 10 (2008): 251-54. Ed. with J. P. Moreland. The Blackwell Companion to Natural Theology. Oxford: Wiley-Blackwell, 2009, 683pp. P- Ed. with Paul Copan. Contending with Christianity's Critics. Nashville, Tenn.: Broadman and Holman, 293 pp. P- Ed. with Chad Meister. God Is Great, God Is Good. Downers Grove, Ill.: Inter-Varsity, 2009, 265 pp. “The Kalam Cosmological Argument.” With James Sinclair. In The Blackwell Companion to Natural Theology, pp. 101-201. Ed. Wm. L. Craig and J. P. Moreland. Oxford: Wiley-Blackwell, 2009. P- “Dawkins’ Delusion.” In Contending with Christianity’s Critics. Ed. Paul Copan and Wm. L. Craig. Nashville, Tenn.: Broadman and Holman. P- “Richard Dawkins on Arguments for God.” In God Is Great, God Is Good, pp. 13-31. Ed. Wm. L Craig and Chad Meister. Downers Grove, Ill.: Inter-Varsity, 2009. “What Is the Relation between Science and Religion?” In Writing that Makes Sense, pp. 459-72. Ed. David S. Hogsette. Eugene, Ore.: Resource Publications, 2009. “Divine Eternity.” In The Oxford Handbook of Philosophical Theology, pp. 145-66. Ed. Thomas Flint and Michael Rea. Oxford: Oxford University Press, 2009. “‘Noli Me Tangere’: Why John Meier Won’t Touch the Risen Lord.” Heythrop Journal 50 (2009): 91-97.
Review article: “Vilenkin’s Cosmic Vision: A Review Essay on Many Worlds in One: The Search for Other Universes, by Alexander Vilenkin.” Philosophia Christi 11 (2009): 231-8. P- On Guard: Defending Your Faith with Reason and Precision (Colorado Springs: David C. Cook, 2010, 286 pp. “Reflections on ‘Uncaused Beginnings’.” Faith and Philosophy 27 (2010): 72-78. “Vergangenheit, Unendlichkeit, und Gott.” In Letztbegründungen und Gott,pp. 31-49. Ed. Edmund Runggaldier and Benedikt Schick. Berlin: De Gruyter, 2010. “Taking Tense Seriously in Differentiating Past and Future: A Response to Wes Morriston.” Faith and Philosophy 27 (2010): 451-6. “Timothy O’Connor on Contingency: A Review Essay on Theism and Ultimate Explanation.” Philosophia Christi 12 (2010): 181-8. “Much Ado about Nothing: A Review Essay on The Grand Design.” Philosophia Christi 12 (2010): 409-18. P- Interview in Open Questions: Diverse Thinkers Discuss God, Religion, and Faith, pp. 31-54. Ed. Luis Rodrigues. Oxford: Praeger, 2010. P- Review article: “36 Arguments for the Existence of God: Goldstein on the Cosmological Argument.” Christian Research Journal 34/01 (2010), pp. 52-53. P- Four Views on Divine Providence. With Gregory Boyd, Ron Highfield, and Paul Helseth.Ed. Dennis W. Jowers. Grand Rapids, Mich.: Zondervan. P- The Defense Never Rests: A Workbook for Budding Apologists. With Joseph Tang. “Graham Oppy on the Kalam Cosmological Argument.” International Philosophical Quarterly51 (2011): 303-30. “Der kosmologische Kalam-Gottesbeweis.” In Gottesbeweise von Anselm bis Gödel, pp. 564-98. Ed. J. Bromand and G. Kreis. Frankfurt am Main: Suhrkamp Verlag, 2011. “Cosmological Argument”;“Middle Knowledge.” In The Cambridge Dictionary of Christian Theology. Ed. G. Fergusson et al. Cambridge: Cambridge University Press, 2011. “Divine Eternity and Einstein’s Special Theory of Relativity.” In God, Eternity, and Time, pp. 145-55. Ed. Christian Tapp and Edmund Runggaldier. Aldershot, England: Ashgate Publishing, 2011. “Yet Another Failed Anti-Molinist Argument.” In Molinism: The Contemporary Debate, pp. 144-62. Ed. K. Perszyck. Oxford: Oxford University Press, 2011. “Why Are (Some) Platonists So Insouciant?” Philosophy 86 (2011): 213-29. “A Nominalist Perspective on God and Abstract Objects.” Philosophia Christi 13 (2011): 305-18.
Review: Mathematics and Reality, by Mary Leng. Philosophia Christi 13 (2011): 479-86. P- “The Grand Design—Truth or Fiction?” Enrichment (Winter 2011), pp. 118-22. P- Ed. with Paul Copan. Come, Let Us Reason. Nashville, Tenn.: Broadman and Holman. P- “Objections So Bad I Couldn’t Have Made Them Up (or, the World’s Ten Worst Objections to the Kalam Cosmological Argument).” In Come, Let Us Reason. Ed. Paul Copan and Wm. L. Craig. Nashville, Tenn.: Broadman and Holman. “On Non-Singular Spacetimes and the Beginning of the Universe.” With James Sinclair. In Scientific Approaches to the Philosophy of Religion, pp. 95-142. Ed. Yujin Nagasawa. Palgrave Frontiers in Philosophy of Religion. London: Macmillan, 2012. “God and Abstract Objects.” In The Blackwell Companion to Science and Christianity, pp. 441-52. Ed. Alan Padgett and James Stump. Oxford: Wiley-Blackwell, 2012. “Nominalism and Divine Aseity.” Oxford Studies in Philosophy of Religion 4 (2012): 43-64. P- “The ‘God Particle’ Says about God.” Christian Research Journal 35/6 (2012): 22-5. P- “What the ‘God Particle’ Says about God.” Biola Magazine (Fall 2012), p. 28. P- “Navigating Sam Harris’ The Moral Landscape.” Enrichment (Fall 2012), pp. 117-21. P- “Gud e ikke dod ennå.” Fast Grunn 5 (2012): 269-76. P- A Reasonable Response. With Joseph Gorra. Chicago: Moody Press, 2013, 429pp. P- What Is God Like? The Attributes of God for Children. With illustrations by Marli Renee. 10 vols. Create Space, 2012-13. P- “Does God Exist?” Philosophy Now (Nov/Dec 2013), pp. 6-9. “The Kalam Argument for God’s Existence.” In Debating Christian Theism, pp. 7-19. Ed. C. Meister, J. P. Moreland, K. Sweiss. Oxford Contemporary Dialogues. Oxford: Oxford University Press, 2013. “Perils of the Open Road.” With David Hunt. Faith and Philosophy 30 (2013): 49-71. “Future.” New Catholic Encyclopedia Supplement 2012-2013: Ethics and Philosophy, 2: 610. Ed. Robert L. Fastiggi. Detroit: Gale, 2013. “Propositional Truth—Who Needs It?” Philosophia Christi 15 (2013): 355-64. P- “God and the ‘Unreasonable Effectiveness of Mathematics’,” Christian Research Journal 36 (2013): 31-35.
Review Article: God and Necessity by Brian Leftow. Faith and Philosophy 30 (2013): 462-70. P- Is Faith in God Reasonable? Debates in Philosophy, Science, and Rhetoric. With Alex Rosenberg. Ed. Paul Gould and Corey Miller. Responses by Robert Kaita, Victor Stenger, Paul Moser, Theodore Drange, Timothy McGrew, Michael Ruse, Martin Medhurst, and Clarke Rountree. Routledge Studies in the Philosophy of Religion. London: Routledge, 2014. P- Does God Exist? Pine Mountain, Geo. : Impact 360, 2014. P- Did Jesus Rise from the Dead? Pine Mountain, Geo. : Impact 360, 2014. P- Learning Logic. With illustrations by Marli Renee. Create Space, 2014. “Peter Van Inwagen, Substitutional Quantification, and Ontological Commitment.” Notre Dame Journal of Formal Logic 55 (2014): 553-561. “Anti-platonism.” In Beyond the Control of God? Six Views on the Problem of God and Abstract Objects. Ed. Paul Gould. With articles, responses, and counter-responses by K. Yandell, R. Davis, P. Gould, G. Welty, Wm. Craig, S. Shalkowski, and G. Oppy. London: Bloomsbury, 2014. “Divine Self-Existence.” In Neo-Aristotelian Perspectives in Metaphysics, pp. 269-95. Ed. Daniel D. Novotný and Lukáš Novák. Routledge Studies in Metaphysics London: Routledge, 2014. P-“William Lane Craig.” In Science and Religion: Five Questions, pp. 31-43. Ed. Gregg Caruso. Automatic Press, 2014.
Review: God and Necessity by Brian Leftow. Philosophy 89 (2014): 171-6.
Review: The Mechanics of Divine Foreknowledge and Providence by T. Ryan Byerly. Notre Dame Philosophical Reviews (Dec. 20, 2014), http://ndpr.nd.edu/news/54790-the-mechanics-of-divine-foreknowledge-and-providence-a-time-ordering-account/. P- On Guard for Students: A Thinker's Guide to the Christian Faith. Colorado Springs: David C. Cook, 2015. P- “The Resurrection of Theism.” The City (Winter, 2015), pp. 80-89. “Divine Aseity and Abstract Objects.” In Christian Philosophy of Religion: Essays in Honor of Stephen T. Davis, pp. 165-201. Ed. C. P. Ruloff. Notre Dame, Ind. : University of Notre Dame Press, 2015. “God and Abstract Objects.” Philosophia Christi 17 (2015): 269-76. “Response to Bridges and van Inwagen.” Philosophia Christi 17 (2015): 291-297.
Review: An Aristotelian Realist Philosophy of Mathematics: Mathematics as the Science of Quantity and Structure by James Franklin. Philosophia Christi 17/1 (2015): 225–29. God and Cosmology. With Sean Carroll. Ed. Robert Stewart. With responses by Tim Maudlin, Robin Collins, Alex Rosenberg, and James Sinclair. Minneapolis: Fortress Press, 2016. “God and the Platonic Host.” In C. S. Lewis at Poet’s Corner, pp. 201-16. Ed. M. Ward and P. S. Williams. Eugene, Ore.: Cascade Books, 2016. God Over All: Divine Aseity and the Challenge of Platonism. Oxford: Oxford University Press, 2016. P- Five Arguments for God: The New Atheism and the Case for the Existence of God. London: Christian Evidence Society, 2016, 54 pp. "Cosmological Argument," "Mathematics," and "Time." In Dictionary of Christianity and Science, ed. P. Copan et. al. Grand Rapids: Zondervan, 2016. "Bergson Was Right about Relativity (well, partly)!" In Time and Tense, pp. 317-352. Ed. S. Gerogiorgakis. Munich: Philosophia Verlag, 2016. "'Absolute Creation' and 'Theistic Activism': A Plea for Terminological Uniformity." Philosophia Christi 18 (2016): 339-41.
Review: Natur und Zahl: Die Mathematisierbarkeit der Welt by Bernulf Kanitscheider. Philosophia Mathematica 24/1 (2016): 136-41.
Review: Necessary Beings by Bob Hale. Philosophia Christi 18 (2016): 246-51. God and Abstract Objects: The Coherence of Theism III: Aseity. Berlin: Springer Verlag, 2017. Ed. with Paul Copan. The Kalām Cosmological Argument: Philosophical Arguments for the Finitude of the Past. Bloomsbury Studies in Philosophy of Religion. London: Bloomsbury Press. Ed. with Paul Copan. The Kalām Cosmological Argument: Scientific Evidence for the Beginning of the Universe. Bloomsbury Studies in Philosophy of Religion. London: Bloomsbury Press. Philosophical Foundations for a Christian Worldview. With J. P. Moreland. 2d rev. ed. Downers Grove, Ill.: InterVarsity Press, 2017. P- “A Molinist Perspective on the Problem of Evil” and “Response to Other Contributors.” In God and the Problem of Evil: Five Views, pp. 37-55, 143-50. Ed. C. Meister and J. Dew, Jr. Downers Grove, Ill.: InterVarsity Press, 2017. “Absolute Creationism and Divine Conceptualism: A Call for Conceptual Clarity.” Philosophia Christi 19 (2017): 432-8.
Review: Robust Ethics: The Metaphysics and Epistemology of Godless Normative Realism by Erik J. Wielenberg. Philosophia Christi 19/2 (2017): 473–77. The Atonement. Elements in the Philosophy of Religion. Cambridge: Cambridge University Press, 2018. “The Kalām Cosmological Argument.” In Two Dozen (or so) Arguments for God’s Existence. Ed. T. Dougherty and J. Walls, pp. 389–405. Oxford: Oxford University Press, 2018. “Erik Wielenberg’s Metaphysics of Morals,” Philosophia Christi 20/2 (2018): 333-38. “In Defense of Absolute Creationism.” Review of Metaphysics 71 (2018): 445–67. “Is Penal Substitution Incoherent? : An Examination of Mark Murphy’s Criticisms.” Religious Studies 54/4 (2018): 509–26. “Is Penal Substitution Unjust?” International Journal for Philosophy of Religion 83 (2018): 231–44. “Divine Forgiveness and Legal Pardon.” In The Philosophy of Forgiveness. Vol. IV: Christian Perspectives on Forgiveness, edited by G. L. Bock, pp. 1–22. Wilmington, Del. : Vernon Press, 2018. “Is God the Son Begotten in His Divine Nature?”. TheoLogica: An International Journal for Philosophy of Religion and Philosophical Theology 2/3 (2018). https://doi.org/10.14428/thl.v2i3.16583. Review: A Fortunate Universe: Life in a Finely Tuned Cosmos by Geraint Lewis and Luke Barnes. Philosophia Christi 20/2 (2018): 596-99. “Big Bang Cosmology.” In The Encyclopedia of Philosophy of Religion. Ed. C. Taliaferro. Oxford: Wiley Blackwell.